Het Spinnetje (little spider) is about to go down forever. This one is on the Leidsegracht and with all the tourist canal boats constantly going by and making lots of waves, a lot of bootjes are suffering. 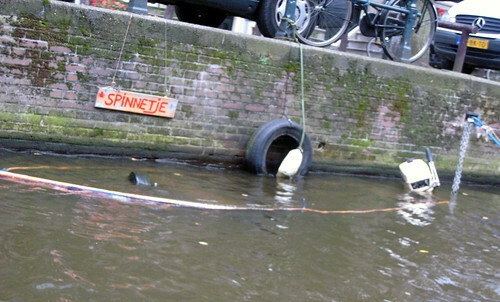 Don’t put your bootje in the Leidsegracht is what I say.